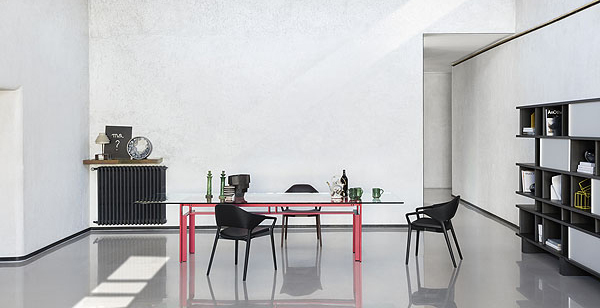 Ico has enshrined Ora ïto in the legendary heritage of Cassina alongside Ico Parisi, Gio Ponti, Gaetano Pesce, Le Corbusier, Charlotte Perriand, Philippe Starck and Patricia Urquiola. 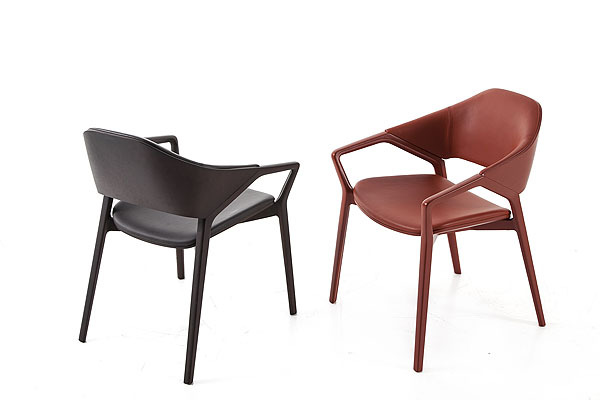 The Italian manufacturer makes its unique know-how, at the exact point of equilibrium between craft and industry, available to designers and architects with the ability to redefine the borders between style and experimentation. Thanks to an on-going exchange with the Cassina workshop for over three years, Ora ïto outlines a new, elegantly refined archetypal comfort. The naturally veined wood is now invigorated by the French designer’s dynamic fluidity. An instantly recognisable concise contour animates the traditional wooden seat with new panache to revive luxurious living rooms and contemporary restaurants. 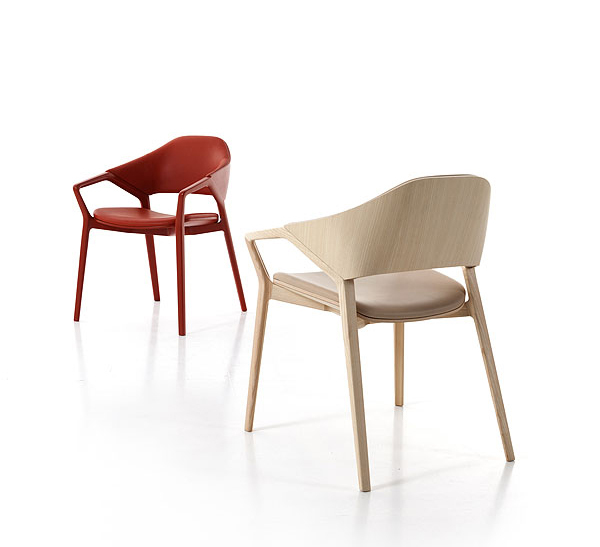 A nod to Ico Parisi and his 814 chair (a Cassina classic designed in 1950), Ico is an enveloping chair in ash with armrests, covered with fabric or leather, the seams of which perfectly capture the organic structure like a delicate articulation. 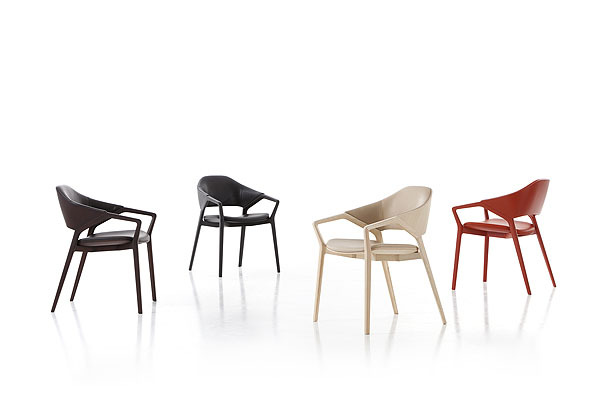 The Ico chair is representative of the values that Cassina still maintains today. A combination of wood craftsmanship and technological innovation. It is the essence of the concept MedaMade. The project has completely centred the equilibrium between craft and industry, style and experimentation. 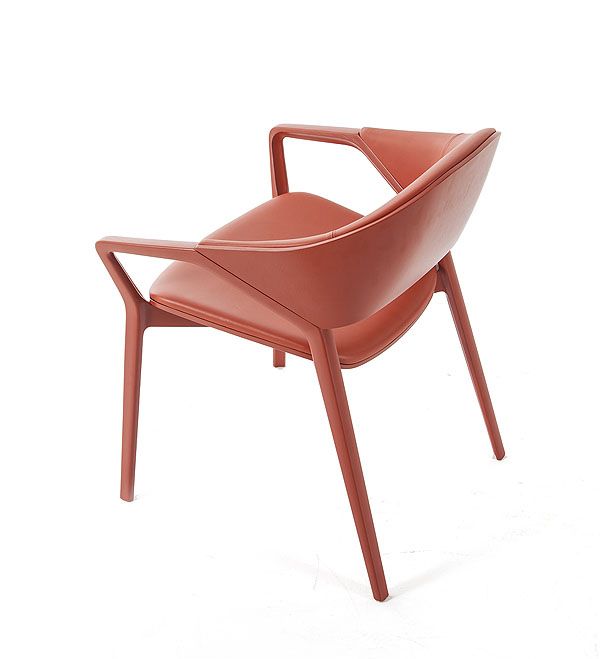 Ico clearly references Cassina’s heritage. A new definition of the archetypal chair that has been invigorated by Ora Ito’s dynamism to form an instantly recognisable contour. The ‘techno-organic’ nature of the chair, intended as inspired by industrial/ technical elements, has been developed in close collaboration with the Cassina Research and Development team who have painstakingly studied the engineering and construction of each component of this apparently simple design using the most advanced expertise. The base, made entirely of solid wood, is representative of the brand’s ability to industrialise sinuous yet complex forms through the perfect combination of craftsmanship and technology. This element is characterised by refined joinery, traditional carpentry and the use of sophisticated, latest generation, numerical control milling machines with 5 axes. However, the chair’s comfort is not sacrificed for technology. 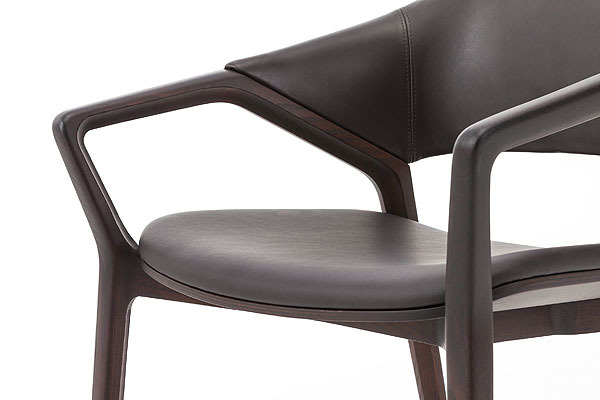 Ico’s curved wooden frame is accompanied by careful upholstery work: soft inserts upholstered in fabric or leather are enriched with stitching details from the end of the armrest to the backrest, a functional and also aesthetic choice. Ico is available in 4 open pore matt finishes, (natural ash-wood or ash-wood stained black, walnut or red) making the piece extremely versatile for all kinds of architectural settings. 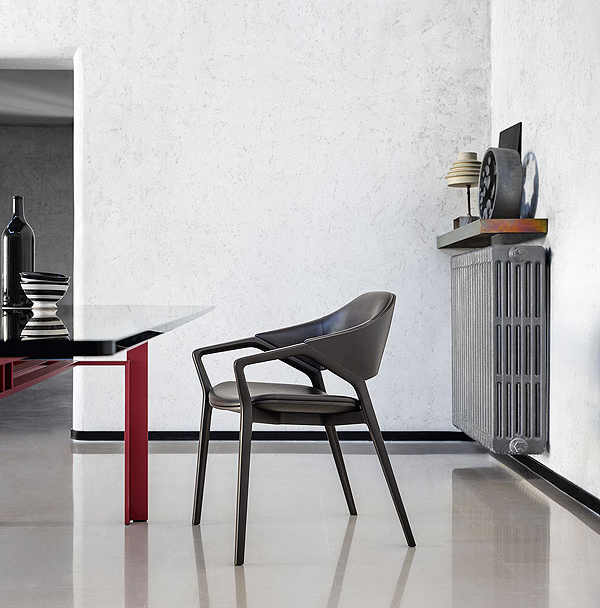 Thanks to the chair’s low armrests, Ico fits perfectly around the dining table. Structure : solid ash-wood. Seat and back : ash-wood. Padding : foam. Upholstery : fabric or leather. Finishes : matt, semi-open pore, natural or ash-wood stained black, walnut or red.